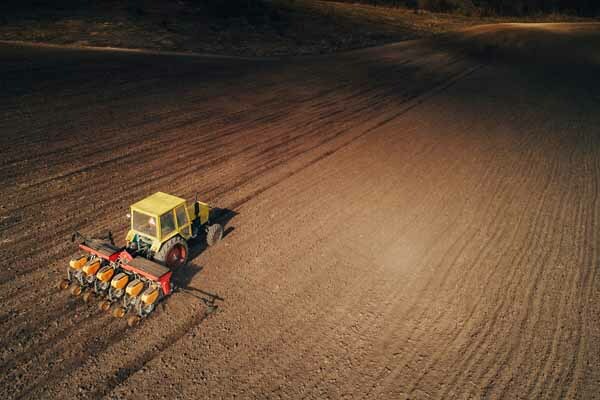 UK minsters are not expecting commercial planting of GMO crops in this country “for at least a few years” but will ease their way by ensuring that “pragmatic” regulations are put in place. Lord de Mauley’s letter was in response to the Beyond GM initiative The Letter from America which was delivered to the Prime Minister’s office in November, and which also appeared as a full page advertisement in the Times, as well as being trailed on a huge digital billboard at London Waterloo, the UK’s busiest rail station. De Mauley’s comments will surprise many campaigners who have been concerned that proposed changes in the EU’s GMO authorisation process will lead to GM crops being grown in England from 2015. In his letter, Lord de Mauley says “the government will ensure that pragmatic rules are in place to segregate GM and non-GM production”. For “pragmatic” read as few and as weak as possible with no rules on liability and nothing to ensure that ’the polluter pays’ in the event of organic and non-GM crops and habitats being contaminated. The last time the UK government engaged in a serious consideration of co-existence of GM, organic and non-GM crops it let Scimac, a pro-GMO industry body, write the rules and adopted them wholesale. That was between 1998 and 2002. But Scimac is still in business and there is every reason to suppose that the government intends to brush the dust off their GMO industry focussed, voluntary code of practice once the EU has finalised its new regulation. It is likely that in its plenary session on the 13th of January the European Parliament (EP) will vote in favour of the proposed GMO authorisation process and thereby open up the EU to GM cropping. This so called “opt-out” regulation will free up countries such as the UK which – in reality – want to “opt-in” and enable genetically engineered crops to be grown on their fields. The proposal has already been through a behind-closed-door, non-transparent process known as the trialogue – where the European Commission (EC), EP and representatives of the Council of Ministers secretly wheel and deal to facilitate the passage of legislation. Should the EP nod it through, as expected, it is likely to come into force by the spring. Despite the efforts of the EP’s Environment Committee representatives, the trialogue process stripped out all mandatory measures to prevent contamination of non-GM crops and establish liability rules to give non-GMO farmers legal and financial protection. These issues will be left to EU Member States. Undoubtedly some will put in place robust and legally binding arrangements to protect non-GM farmers and the countryside even if they constrain GMO production. The UK will not be one of those. The fact that there are virtually no commercial GM crops suitable for the UK in the pipeline does not mean that any of us can feel confident of a GM free future for the UK. The government’s push to sweep away the Precautionary Principle”, the “polluter pays” principle, indeed all legal and technical obstacles to GMOs in our farming and food, will increase momentum from the start of 2015. There is a possibility – albeit a remote one – that Syngenta’s GMO maize (GA21) with tolerance to glyphosate could find some uptake in the UK by 2016. It is very likely that research institutions in the UK will gear up their GM crop trials and, using taxpayer money, plant more research field trials to benefit the GMO industry and private patent holders. At the same time GMO ingredients and products are increasingly finding their way into the UK food system. And of course there is the long running and ongoing scandal that supermarkets refuse to put GM labels on livestock products where the animals have been fed genetically engineered feed. This has a hollow and hypocritical ring. Until GM-fed livestock products are labelled we cannot trust that either the Government or the supermarkets will act in good faith towards their citizens and their customers on GM issues. They cannot be trusted and therefore citizens have to force them to put in place measures that will ensure the right to be GM free; and will protect farmland, the countryside, and the food chain from GMO contamination. Individuals and organisations representing nearly 60 million US citizens – just under 25% of the total adult population – have signed and endorsed the Letter from America which sets out the US experience of GMO food and farming, and warns us not to follow this example. This is just the tip of the mounting opposition to GMOs in the US. We believe that opposition in the UK is just as deep-seated but is not yet being articulated: hence the Beyond GM initiative. Clearly David Cameron, the head of what was going to be Britain’s greenest ever government, has no interest in citizens’ concerns about GMOs as he passed the Letter from America on to Defra. The Minister in charge of Defra – Liz Truss – hasn’t much interest either as she passed it on to her junior deputy for a response. Nonetheless, we are grateful for Lord de Mauley’s response because it serves to highlight the need for more active and vocal citizen engagement so that the next time a letter on the issue of GMOs is delivered to Downing St, the Prime Minister is on the doorstep to receive it. This acknowledgement of the importance of the GMO issue is what Beyond GM is trying to achieve. Through campaigns such as, The Letter from America, GM Free Me, our support of networks such as Mums Say No to GMOs and other initiatives which will be rolled out during 2015, we aim to stimulate and facilitate an effective opposition to government- and industry-backed GMO invasion of the UK. GM crops might not be ready for planting in the UK in 2015 or even 2016 but the ground is being prepared for them now; and the GMO creep onto our shelves and into our food is happening now. That means that now is the time for citizens to find their voices and speak up. Beyond GM fully intends to give them the platforms to do so. 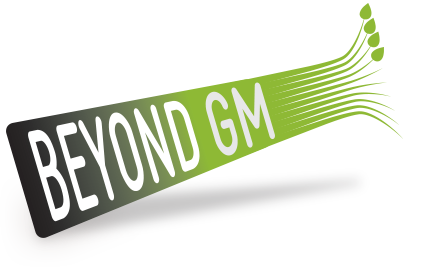 You can read Defra’s letter to Beyond GM here. Download our print and share GMO action card here.